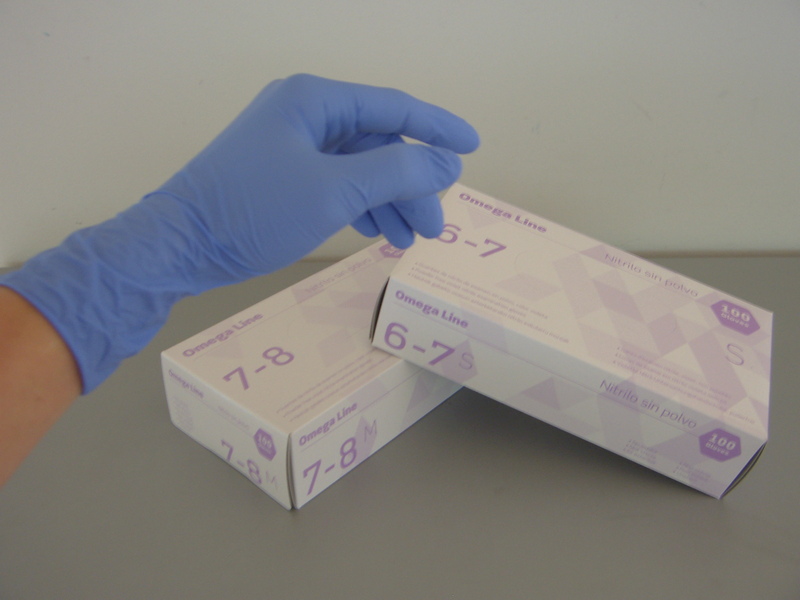 A couple of months ago, CVProtection launched the Omega Line, Powder free Nitrile-Examination glove. This new protective product was introduced as an alternative to the brand AACHEN, guaranteeing the compliance with the quality requirements demanded for disposable gloves. On that subject, recently, our company has obtained the certificates that assure the absolute compliance with EN 455/1-2-3, European Standards for Medical gloves and EN 374/1-2-3, EN 388 (Test Mechanical Risk) y EN 420, Protective Gloves Against Chemicals And Micro-Organisms (PPE, Category III). This real guarantee joined to its excellent design and usage makes it a glove to keep in mind for future business strategies of CVProtection. Please do not hesitate to contact with our Sales Department in order to get more information about this product, we are pleased to attend all your queries.